A busy year lies ahead for the community of activist governments, UN agencies, the International Committee of the Red Cross (ICRC), and non-governmental organizations (NGOs) working to advance humanitarian disarmament. Concerns that the new Year of the Horse will see increasing turmoil look warranted as 2014 opened with armed violence taking lives in Central African Republic, South Sudan, and elsewhere, while the conflict in Syria grinds into its third year. 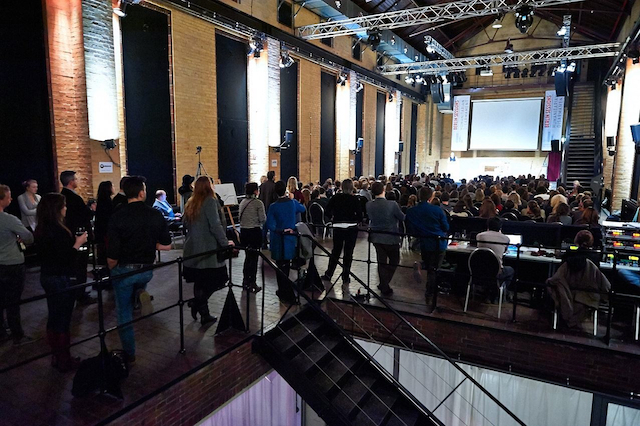 The year began with the Berlin Sessions on Humanitarian Disarmament on January 23-24, a gathering of more than 100 young activists from Germany, Europe and further afield that coincided and contrasted with the annual opening of the moribund Conference on Disarmament in Geneva. As David Atwood reminded participants at the Berlin Sessions, small arms and light weapons are used in the vast majority of instances of armed violence, mostly in countries not experiencing armed conflict and thereby undermining people-centered security and sustainable development. After the New Year surprise release of guidelines on arms transfers, tempers are increasingly frayed as the US policy review on banning landmines enters its fifth year without conclusion. The US wing of the International Campaign to Ban Landmines is demanding an outcome that commits the US to join the Mine Ban Treaty as soon as possible, to prohibit the use of antipersonnel mines immediately, and to begin destruction of all stocks of antipersonnel mines. Together with the Mine Ban Treaty implementation support unit and with European Union support, the campaign is holding an event at the Carnegie Endowment for International Peace on February 19 to discuss the United States and the Mine Ban Treaty. The Obama Administration is expected to announce its new policy before the Mine Ban Treaty‘s 3rd Review Conference is held in Maputo, Mozambique on June 23-27. On February 13-14, Mexico will host the Second Conference on the Humanitarian Impact of Nuclear Weapons in the resort town of Nayarit, almost one year after Norway held the inaugural conference to consider the humanitarian impacts of nuclear weapons. The Norwegian government changed in September 2013, but is expected to remain a core champion of humanitarian disarmament together with Austria, Mexico, New Zealand, and South Africa. Other prospective champions include Australia, Colombia, Finland, and Germany, and Switzerland. Questions facing members of the International Campaign to Abolish Nuclear Weapons include whether France or the United Kingdom will show in Nayarit, as well as does Ambassador Simon-Michel really believe his talking points? The work continues to advance universalization and implementation of the 2008 Convention on Cluster Munitions, with humanitarian disarmament champion Costa Rica hosting the convention’s Fifth Meeting in San Jose on September 1-5. Universalization of the convention has continued to slow and hopes for progress are being pinned on the region, particularly on Caribbean nations. In the absence of any evidence to the contrary, the Cluster Munition Coalition is concerned that the use of these weapons appears to continue in Syria, creating a devastating legacy of unexploded ordnance. The use of chemical weapons by the Syrian regime in August 2013 is uncontested by all but a small minority of arms geeks. Despite widespread support, implementation of the Chemical Weapons Convention accession deal remains slow when it comes to dispersing of Syria’s stockpiled chemicals. The Organisation for the Prohibition of Chemical Weapons will remain in the spotlight together with UN disarmament chief Angela Kane. Even the 1980 Convention on Conventional Weapons (CCW) looks likely to get some attention this year as roboticists, computer scientists, and other experts prepare to join governments for a meeting on May 13-16 to consider ethical, legal, operational, technical, and other concerns with “lethal autonomous weapons systems” giving hope that new “LAWS” will result if the CCW mandate is renewed in November. Members of the Campaign to Stop Killer Robots are meeting in London on February 26 to consider the work ahead in the year ahead at CCW as well as the Human Right Council and elsewhere.